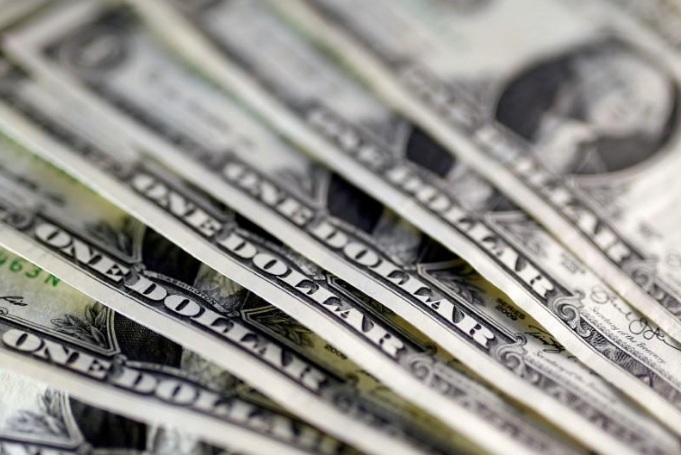 The dollar index inched up 0.05 percent against a basket of six major currencies. TOKYO - The dollar edged up against its peers on Tuesday, supported by a rise in Treasury yields following a report that U.S. President Donald Trump was favoring a policy hawk as the next head of the Federal Reserve. Treasury yields bounced from two-week lows and rose after a report on Monday that President Trump was favoring Stanford economist John Taylor, seen as more hawkish than current Chair Janet Yellen, to head the Fed. “Taylor’s mention came as a surprise as he was lower on the list of rumored Fed chief candidates including (Fed governor Jerome) Powell, (former Fed governor Kevin) Warsh, Yellen and (Trump’s top economic advisor Gary) Cohn,” said Shin Kadota, senior strategist at Barclays in Tokyo. Trump will meet Yellen on Thursday as part of his search for a new candidate for her position, a source familiar with plans for the meeting said. The dollar index inched up 0.05 percent against a basket of six major currencies .DXY to 93.365 after rising 0.25 percent overnight. The index had stooped to a 17-day low of 92.749 on Friday in the wake of disappointing U.S. inflation data. “The dollar was under pressure as Treasury yields declined last week. But it was allowed to rebound as a stronger Wall Street, good U.S. data, and the report about Taylor all came into place to stop the yield decline,” said Junichi Ishikawa, senior forex strategist at IG Securities in Tokyo. The New York Fed’s business conditions index published on Monday showed its highest reading since September 2014. “The euro likely holds the key to whether the dollar can remain firm. The European Central Bank is now considered less hawkish than the market had initially thought last month, pushing German bund yields lower and in turn favoring the dollar against the euro,” Ishikawa at IG Securities said. Ten-year bond yields in Germany DE10YT=TWEB hit one-month lows overnight, extending moves seen late last week on reports that ECB policymakers broadly agree on extending asset purchases at a lower volume at their Oct. 26 meeting, with views converging on a nine-month extension. The greenback was 0.1 percent lower at 112.070 yen after rising 0.3 percent overnight, when it pulled away from a three-week low of 111.650. The euro dipped 0.15 percent to $1.1780 after losing 0.25 percent the previous day. The Australian dollar was 0.15 percent lower at $0.7840 as its rally last week to a two-week high of $0.7898 on upbeat Chinese data lost momentum. Sterling slipped 0.1 percent to $1.3241, awaiting Bank of England Governor Mark Carney's comments due later in the session for potential cues. The dollar edged up against its peers on Tuesday, supported by a rise in Treasury yields following a report that U.S. President Donald Trump was favoring a policy hawk as the next head of the Federal Reserve.